Mammoth Mountains(Perfect Travel Today)4/27/16/–Mammoth Mountain rests on the eastern edge of the Sierra Mountains in Mono County. It is a five-hour drive or a one-hour flight from Los Angeles. 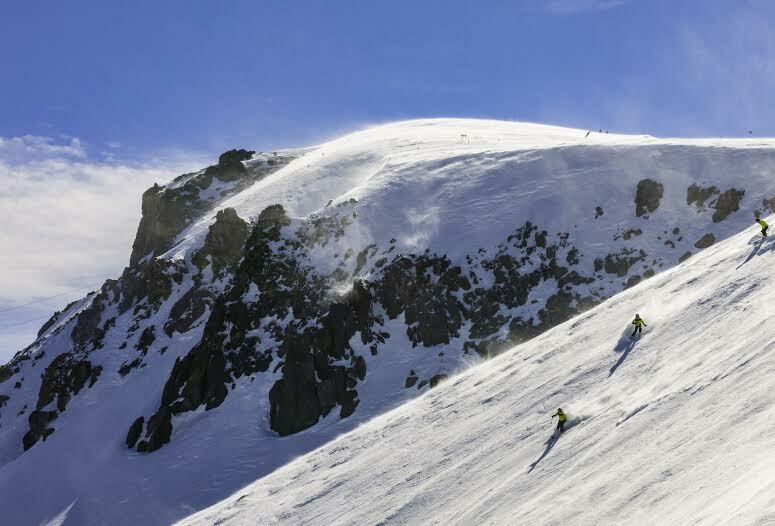 With 3,100 vertical feet, over 3,500 ski-able acres and a summit elevation of 11,053 feet, it truly is mammoth. You won’t have to worry about snow or sun because Mammoth averages 300 days of sun and over 400 inches of snow! There are 28 lifts, including eleven quads, two high speed six-packs, and three gondolas. Mammoth is also known for its Unbound Terrain Parks. With eleven parks and three pipes spread across over 100 acres of terrain, there are features suitable for everyone. With the season usually beginning in November and ending in June, you will have plenty of time to get on up to Mammoth and enjoy some fresh tracks! After a long day on the slopes you can find a variety of things to do, including the very popular Snowcat Tours. This is where you can enjoy a gourmet dining adventure at the scenic Minaret Vista, available Friday- Sunday and select holiday periods. If you’re looking for a good beer along with a game of pool, swing by the Clocktower Pub Cellar. For late night fun, try Lakanuki, the world’s first ultra-hip mountain tiki bar. If you still have the energy, try a full moon snowshoe tour at Tamarack Lodge. The tour includes equipment, guide for the evening, trail access, and a hot beverage by the lodge fireplace. So do yourself a favor and book your trip to Mammoth Mountain today! You won’t regret it. There are various events going on throughout the year–just visit mammothmountain.com for more info. **snowcat tours and full moon tours are both over for the season.